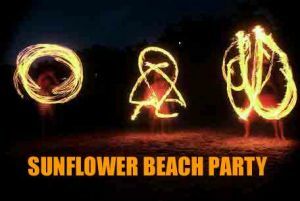 The Sunflower Beach Backpacker Hostel is a home away from home. 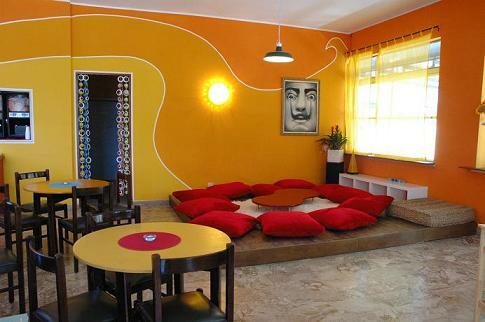 Our Hostel is Rimini's newest, funkiest, liveliest number 1 backpacker hostel. 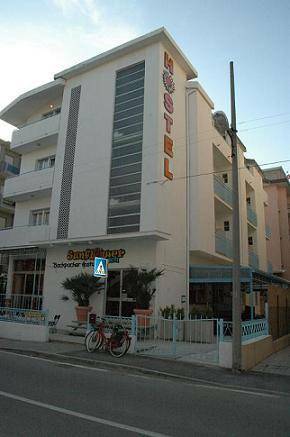 It is situated in the heart of the Adriatic Coast only a stone's throw from the historic centre of Rimini. We are just ten minutes from the train and bus station, 100m from local tram and bus-stop which connect to all parts of the city and coast, minutes walk from all amenities - cafes, bars, restaurant and discos and 200m from the beautiful sandy beach. Sunflower Beach Backpacker Hostel is the perfect location from which to explore vibrant Rimini, it's surrounding medieval towns or just relax those weary bones in our chill-out area. 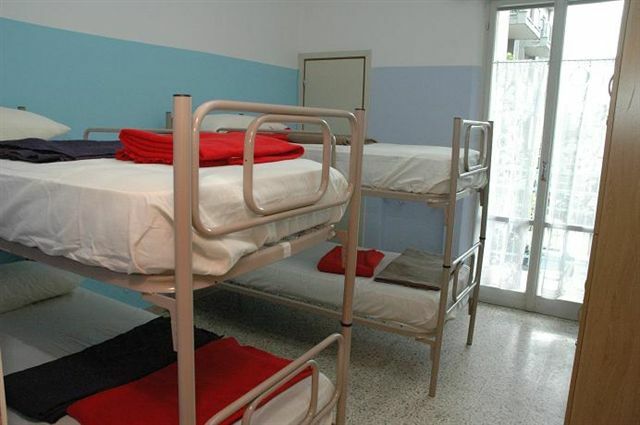 With 31 rooms we can accomadate everyone from individual travellers to large student or tour groups dorms (4 to 6 beds), twins, doubles and even singles. All rooms come with private bathroom, balcony, bed linen, luggage locker and free 24 hour hot shower. A security safe is also available at reception. We provide 24 hour access with full security (no curfew). We pride ourselves on our high level of cleanliness. All rooms are cleaned daily and all beds have fresh linen. This is the perfect place for the young and the 'young at heart'. Our staff are friendly, energetic and helpful, as well as knowledgeable on what to do in Rimini and its surrounding areas. If you want comfort, laughs, security andmost of all value for your money, then the Sunflower Beach Backpacker Hostel is a must for your stay in Rimini (The jewel of the Adriatic Coast). Come and see for yourself and we promise you an experience that you will never forget. -On arrival all guests will need to present a document of identification. Cancellations or alterations are only accepted via email. Phone cancellations/alterations are not accepted. -Cancellations or alterations are only accepted via email. Phone cancellations/alterations are not accepted. DUE TO MAINTENANCE WORKS FROM SEPTEMBER 13rd 2015 TO NOVEMBER 3rd 2015 ALL THE RESERVATIONS WILL BE MOVED AT SUNFLOWER CITY HOSTEL via Dardanelli 102, Rimini. Once at the entrance of the train station take a right turn, then walk for 200 meters until you arrive at a pedestrian tunnel (situated on your right), pass under the tunnel, continue straight ahead, Beach Direction, pass the traffic lights(at the skyscraper), then take the 2nd left at Via Spica and immediately after take the 1st right. This is VIA DARDANELLI. We are situated at number 102. By Car: motorway A 14 Bologna-Bari exit Rimini Sud follow directions for the sea (mare)/Rimini center. Once on the strand road ( with sea/mare in view)head in the direction for Riccione/Cattolica, a few meters after a sign written Marebello you will see The George pub on the corner, Via Siracusa is on your right. We are located at no. 25 - in front of beach No. 101/102. By train/Bus: Rimini Train Station. From the train station take bus LINEA 11, stop N24 or ask for The George pub. By plane: Federico Fellini is Rimini Airport, take bus 9 for the train station and ask to be dropped off at The George pub. Ridolfi Airport in Forli and R. Sanzio in Ancona are only half an hour drive from Rimini and are served by Ryanair daily from London Stansted and Frankfurt. At the arrival of every flight during the summer from Forli Airport there’s a bus service organized by Ryanair which go to Rimini for €10. FREE PICK-UP SERVICE FOR THOSE STAYING 3 DAYS OR MORE.